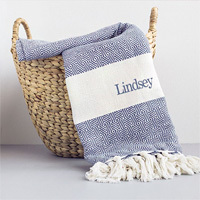 These comfy personalized Turkish throw blankets will look beautiful whether draped softly over a sofa or chair, picnicking at the beach or while providing comfort when traveling. 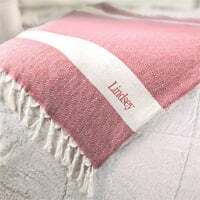 Crafted of 100% Turkish cotton and available in a palette of assorted neutral shades, this decorative throw collection is accented with hand-knotted fringe and free embroidery. 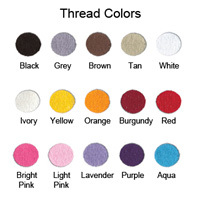 Embroidery Options: May be embroidered with a name (max of 12 characters), two block initials divided by a line, or a large single block initial in a selection of thread colors at no additional cost. See More Photos for additional options. I bought this blanket as a gift and I am very pleased with what I received! I was a little nervous since I had not ordered from the tippy toad before and I was ordering as a gift but now I want to order one for myself! 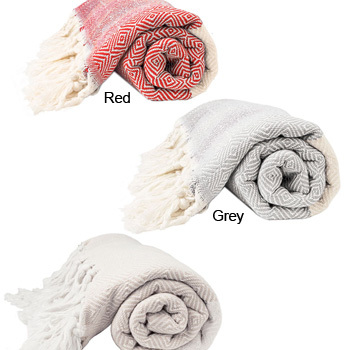 It is a perfect classic blanket that will give a touch of stylish coziness to any room of the house! 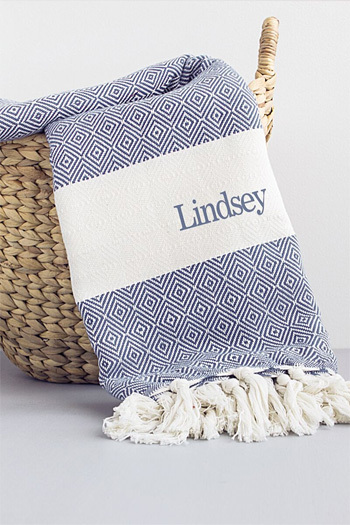 The monogram is well done and I liked the different color options they had to choose from.